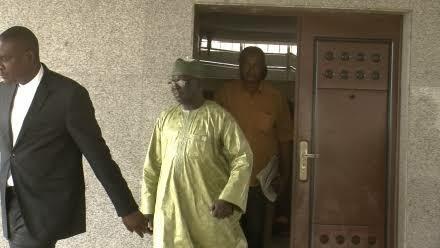 The Abuja Division of the Court of Appeal on Wednesday quashed the sentence of two years imprisonment with option of N750,000 fine imposed by the High Court of the Federal Capital Territory, Abuja, on a former official of the Police Pension Office, Yakubu Yusuf, for stealing N24bn pension funds. A three-man panel of the Court of Appeal headed by Justice Abdu Aboki, in a unanimous judgment, described the High Court’s sentence as unreasonable and substituted it with a total of six years’ imprisonment with an addition of N22.9bn fine. The justice ruled that this allowed “the convict, who had admitted misappropriating or stealing N24bn, the option to pay the sum of N250,000 per count of offence in lieu of serving a prison term of two years for the offence,” to enjoy the huge balance he had in his possession. Justice Abubakar Talba of the Federal High Court in Gudu, Abuja, had in his judgment delivered on January 28, 2013 convicted Yusuf and sentenced him to two years imprisonment with an option of N750,000 fine. Yusufu, had after pleading guilty to three of the counts preferred against him and others, was convicted and sentenced to two years imprisonment on each count with an option of paying N250, 000 fine on each of the three counts. Although, two years imprisonment was the maximum jail term with an option of undisclosed fine prescribed as punishment by Section 309 of the Penal Code Act, under which Yusufu and his co-defendants were charged, Justice Talba ordered that the two years imprisonment imposed on the convict should run concurrently with the option of paying the N750,000 fine. The convict had promptly paid the fine and walked free shortly after the first judgment was delivered. The Economic and Financial Crimes Commission had through its private prosecutor, Mr. Rotimi Jacobs (SAN), appealed against the High Court judgment. Delivering the Court of Appeal’s lead judgment on the appeal on Wednesday, Justice Agim held that the considerations of the High Court in imposing the light sentence were contrary to judicially established principles. He noted that there was no monetary value of the properties already forfeited by the convict to justify the light sentence imposed on him by the High Court. “I hold that the sentence of fine of N250,000 in lieu of imprisonment for a term of two years for each offence is unreasonable, unjust, unfair, irrational, arbitrary, and contrary to judicially established principles as it is not the result of a judicious and judicial exercise of the trial court’s sentence discretion,” he said. He held that considering the humungous amount stolen, the nature and gravity of the offence, its destructive effect on the country, and its impact on retired police officers, the trial court ought to have imposed a severe sentence that would deter further commission of such crime and prevent the convict from retaining any part of the proceeds of the crime. According to The Punch, in passing a fresh sentence on Yusufu on Wednesday, Justice Agim imposed two years imprisonment on the convict on each of the three counts and in addition a fine of N20bn on the first count, N1.4bn on the second count and N1.5bn on the third count. Justice Agim held that while the monetary fines on each of the counts amounting to N22.9bn would “run cumulatively,” the two years jail terms on each of the three counts would run “consecutively,” giving rise to a total of six years imprisonment. He held, “In reviewing the sentence of imprisonment with option to pay fine, as in this case, this court can vary the sentence to one of both imprisonment and fine or imprisonment without option to pay fine. “Considering the humongous amount stolen, the nature and gravity of the crime and its destructive effect on the country and its impact on retired police officers and the grave breach of public trust, a severe sentence that would deter the further commission of such a crime and prevent the convict from retaining any part of what he stole to avoid him obtaining financial benefit from his crime should be imposed. “The sole issue raised for determination in the appellant’s (EFCC) brief is resolved in favour of the appellant. “On the whole, this appeal succeeds as it has merit. “Count 18: The convict is sentenced to two years imprisonment and in addition a fine of N20bn. “Count 19: The convict is sentenced to two years imprisonment and in addition a fine of N1.4bn. “Count 20: The convict is sentenced to two years imprisonment and in addition a fine of N1.5bn. Expressing concerns over the plight of the retired police officers who must have been at the receiving end of the massive theft of the pension funds, Justice Agim noted, “The offence committed by the respondent, by its nature, involves a grave breach of trust, erodes public confidence in public governance and causes retired police officers hardship and suffering. “The funds stolen or misappropriated by the convict are police pension funds for the payment of monthly pensions and other retirement benefits of police officers nationwide. “The theft or misappropriation of over N24bn of that fund would make the prompt payment of monthly pensions to retired police officers very difficult, if not impossible, with attendant hardship and suffering inflicted on such retired officers who rely on their monthly pensions as their only means or source of sustenance in retirement. Justice Abdu Aboki, who led the three-man panel, and another member of the panel, Justice Mohammed Mustapha, agreed with the lead judgment.